Frogmore has been a large and long-standing supporter of Willow, the only UK Charity to provide seriously ill young adults with uplifting and unforgettable ‘Special Days’. In April 2017, following a long line of individual efforts by her colleagues, Frogmore’s Chief Executive successfully completed the London Marathon, raising £155,000 for Willow and thereby providing funding for 125 ‘Special Days’. Land Aid is the property industry’s charity which supports life-changing services for young people facing homelessness. The charity helps to protect young people on the streets, provide accommodation and training, and tackle the root causes of homelessness. Land Aid awards grants to small to medium sized charities working with the homeless and funds capital projects to provide much-needed accommodation and stimulating spaces for vulnerable young people. Senior Frogmore representatives actively participate in Land Aid’s Fundraising Committee. Frogmore is a Land Aid Foundation Partner and the firm’s directors and staff often fundraise through participation in Land Aid events. A joint venture between the University of Reading and leading property firms, Pathways to Property is a programme for Year 12 students in UK state schools and colleges who would like to embark on a career in the property sector. At the heart of the programme is a Summer School at which students take part in lectures, seminars, talks and site visits exploring current themes in property such as sustainability, housing issues and regenerating cities. Frogmore supports Pathways to Property, via donation and corporate time, given the firm’s wish to encourage and promote diversity in the real estate industry. 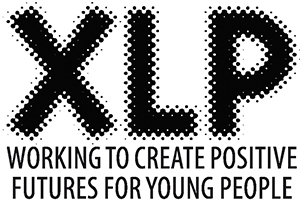 Frogmore donate unit in Stratford Shopping Centre to the charity XLP. Frogmore’s Asset Management team recently got ‘hands on’ with a former bank in their busy shopping centre at Stratford where, along with centre staff and a team from XLP, they helped to prepare the new community centre for its opening. The facility will be used for young people to drop in and have a safe place to hang out, whilst learning life skills and the building of positive, consistent relationships, goal setting and much more. Find out more in our news section. Article 25, whose patron is Lord Norman Foster, is the world’s largest architectural charity. 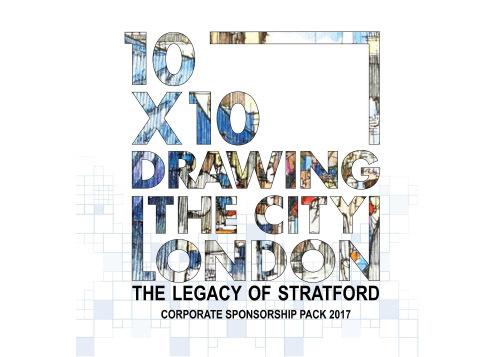 Frogmore has agreed to be an Event Sponsor for Article 25’s annual fundraising event, ’10 x10 Drawing the City London – The Legacy of Stratford’. Frogmore Chairman Paul White is amongst the investment angels who have contributed to the first round funding to the upscaling of AllBright, the working women’s collective founded by Debbie Wosskow OBE and Anna Jones. ‘aGenda’ is a photographic series produced by award-winning photographer Matthew Joseph to highlight the effects of unconscious bias in our society. In a series of baby portraits ‘nature versus nurture’ and gender-bias issues are raised, stimulating conversation and inviting viewers to challenge their preconceptions. The cost of mounting the exhibition in August 2017, including printing of exhibition images, venue hire and publicity was covered by Frogmore. In February 2017, some of Frogmore’s asset management team joined with colleagues from GVA’s Property Management Consultancy Team for a volunteering day at The Templeton Centre, Northwood for the Alzheimer’s Society. Throughout the day the team redecorated the residents’ lounge at the centre. Frogmore’s Chairman, Paul White, was awarded an MBE in the Queen’s New Year’s Honours List “ for charitable services especially to the Willow Foundation”. 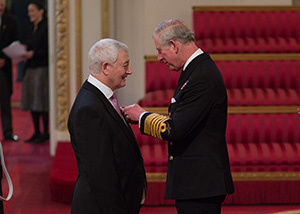 Paul received his MBE from HRH Prince Charles at Buckingham Palace on 24th February 2016.